Roll your own: Making your own flies, spinners, jigs and sinkers is fun, easy, enjoyable, economical and best of all, catches you more fish. fishing season – and the only limit is your imagination. Every angler can tailor lure-making equipment to suit their own particular fishing style, water depth, water conditions, fish species and fish behaviour. Ever since I was a little kid, I’ve loved mucking around with fishing tackle. Later, I started making my own fishing gear in the form of rigs, sinkers, lures, flies, nets, setlines, rods, spears and other associated equipment. These are skills I’m still learning and perfecting, but the enjoyment and satisfaction continue to this day. There is always something exciting about catching fish with your own equipment, and my favourite fish have been caught on gear I made or assembled myself. Winter is a great time to get ready for the best local fishing in warmer months by using the bleak days and long evenings to get your fishing tackle assembled and organised. Anglers are great dreamers and innovators, and winter can get you inspired to create new fishing systems created in your own mind and experiences, or through reading fishing books and periodicals. Making your own gear can save you a significant amount of money but, most importantly, it can make sure you have equipment that will catch you more and better fish. As a saltwater angler, you can make all manner of rigs from stainless steel wire, kevlar cord and heavy nylon, ranging from flasher rigs to groper traces to jig assist-hooks, using components as simple as hooks, swivels, fluoro tubing, heat-shrink tubing, metal crimps and a pair of crimping pliers. Commercially-made rigs are available at local stores if you aren’t into ‘‘rolling your own’’, and such rigs can be fine templates on which to build your own, tailored to your specific fishing circumstances. Lately, we’ve been busy making lots more sinkers, lures and jigs with melted lead. This is a pretty simple exercise but one that should be undertaken with care (and lead is becoming increasingly difficult to find). 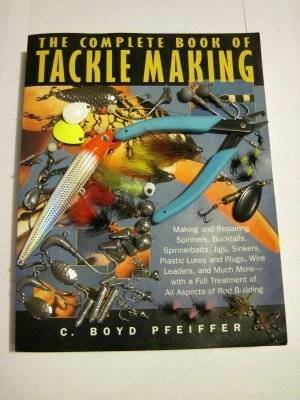 One of my favourite books on making lures is a classic called The Complete Book of Tackle Making, by C Boyd Pfeiffer. He is adamant about the need for safe practices when working outside with molten lead, and advises anglers to ‘‘never become so confident that you are not scared of it’’. I’ve heeded that advice and have accumulated all manner of equipment, such as a leather apron, extension leads, RCD current protectors, a bottom-pour electric lead melter, forearm-length leather gloves, safety goggles, and breathing apparatus to filter out lead dust and fumes. I’ve also got tools like gate shears, split ring pliers, side cutters, crimping tools and wire formers. 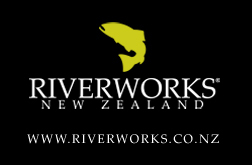 Now that I’ve got the OSH warning out of the way, I can talk about all the fun recreational lures, sinkers and jigs you can make in all types of shapes, weights and configurations, mostly unavailable commercially in New Zealand. pricey, quality lure-making components are usually here within a week or so, and if a purchase is less than $400, you should avoid paying customs duty and GST. The world really is your oyster, and you can find anything to create any lure you can dream up in your mind. My brother Scott and I have been fortunate to have collected a range of different aluminium lead moulds, making all manner of things such as egg and worm-rig sinkers; jigs heads in roundhead, stand-up and seahorse configurations; oddballs such as larva jigs, ear ball weights, lure bodies and removable split shot; even conventional moulds that make kingfish jigs, trout lures and 32-ounce puka bombs. 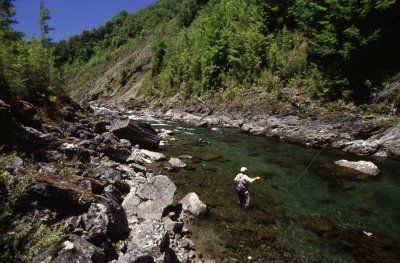 When it comes to trout, I’ve been a mad keen fly-tyer since I began fly fishing at 10 years old. I’ve probably tied tens of thousands of trout flies, and have accumulated an impressive collection of tying gear along the way. It’s no accident that fishing guides are some of the best and most innovative tyers in the country, and exceptional tyers like Murchison’s Peter Carty and Marlborough’s Clayton Nicholl make flies that look so good you’d swear they could crawl out of the vice by themselves. Fly tying is fun, too, because anglers are always problem-solving, thinking about ways to create better flies and sharing ideas, techniques and theories with other anglers. As trout have become more educated and sophisticated, trout anglers have needed better insect and baitfish imitations to enhance catch rates. ‘‘Technological creep’’ has seen space age materials such as chemically sharpened hooks, tungsten beads, synthetic fibres and genetically modified rooster super-hackles improve modern trout flies exponentially. The advantage of tying is that you can make what you need to suit the water conditions and hatches, creating trout flies that are not commercially available. Over summer, I write notes to myself with ideas about what is missing in my fly boxes, so when winter rolls around I know exactly what to tie for the following fishing season. Commercial guides need large numbers of trout flies in specific patterns, sizes, weights, colours, shapes and designs. When you spend a lot of time on the river getting flies chewed by trout and having anglers breaking them off in fish or, worse, repeatedly whacking them on rocks or high into bankside trees with errant back casts, it can soon deplete whole boxes. Guides get paid for results, so having the right gear tied on anglers’ lines is particularly important. Last season, we caught more big trout than ever, but we also lost plenty more, because big mouse-fattened fish often straightened standard fly hooks. This year, I’m tying most of my flies on extra-strong hooks to hopefully solve the problem – so watch out, Mr Trout. Outdoors people can have thousand of safe and enjoyable experiences in New Zealand, but things can sometimes turn pear-shaped without warning. often talk about some of my own adventures in the outdoors and I’d regale them with tales of land crabs in equatorial Kiribati, fishing with bears in British Columbia, living on moose meat with Lapp reindeer herders north of the Arctic Circle, even catching trout in Colorado lakes at altitudes higher than Mt Cook. My heart as an outdoorsman belongs firmly in New Zealand, and here I’ve had thousands of happy, safe and enjoyable outdoor experiences and episodes. But ones that really stand outare where things haven’t gone as planned and an outdoor trip has become an outdoor survival epic. Most of my truly gruelling adventures have involved water, particularly extreme rainfall and flooded rivers. On one hunting trip into the remote Whataroa River in South Westland, we were marooned on a piece of high ground between an absolutely angry main river and two raging side creeks. Confined to a sodden pup tent for four days in abysmal deluge conditions, it was quite an experience. With improved knowledge and modern equipment, the outdoors should be a much safer place. Regrettably, this isn’t always so and people still regularly make bad decisions and take fatal risks. Perhaps my greatest outdoor challenge so far was in Kahurangi National Park, on the banks of the famed Roaring Lion River. It had rained overnight, but the river was low and clear as I crossed at daylight in search of some easy venison before the chopper was due to pick us up at lunchtime. We had just completed an arduous fishing adventure further up the river on foot and I was feeling bullet-proof. Under-dressed in shorts, poly-pro singlet, PVC raincoat and aknife belt, I commenced stalking around grassy river-flat areas hoping for a deer to show itself, when it happened. Water appeared from nowhere in a gushing waterfall high on the hillside above the Beautiful River (a Roaring Lion tributary), and in one motion I turned and ran toward the main river instinctively knowing what was going to happen next. As I ran up the dry riverbed, water rushed to meet me. Dirty water, mixed with sticks and vegetation, rose alarmingly up my legs. As I reached the main river I witnessed a huge wall of water, carrying whole trees, as the river exploded in front of my eyes. A shot from my rifle alerted my sleeping companions to my plight as the full might of the storm hit. I couldn’t find shelter as the rain fair pelted down, turning the forest floor into a swamp. Sitting helplessly under a tree, I started to get cold, and being wet, I started shivering. Without shelter I was probably going to die. There would be no help from my companions across the flooded river, the helicopter was never going to arrive in such conditions, and the only person who could solve my predicament was me. I decided to make shelter and came up with an idea of using the numerous tree ferns available. Making an A-frame structure, I dragged two rotten logs together to go underneath to get me up off the swampy ground. I spent an hour or so cutting fern fronds with my hunting knife, dressing the shelter, and staying warm in the process. At last I was ready to crawl inside, pulling ferns across the small entrance way. Above me the storm raged as I lay warm and snug in my dark bunker. When the storm abated, I emerged from shelter, and went to check out the Roaring Lion which while raging had become less angry. Fred managedto throw a can of corn beef and a silver-foil space blanket across the narrowest point in a plastic bag. It didn’t quite make it but I was able to scoop the rapidly sinking bag up with a long stick while hanging out over the river on a small tree, to the cheers of my companions. Darkness came suddenly, and I retreated 400 metres back into the forest, but I couldn’t find my shelter anywhere. Blundering around, I realised I was facing my second predicament of the day and while at least it wasn’t raining anymore, the wind was rising while the temperature dropped. Wrapping my foil safety blanket around me,I cursed as the old folded foil broke into a hundred useless rectangles. I spent the night so cold I thought my chattering teeth were going to crack every tooth in my jaws, and ended up running round and round a tree in an attempt to stay warm and avoid nodding off into oblivion. Just when I thought I couldn’t last much longer, a pinprick of light through the forest canopy showed daylight was on the way. Soon the dawnchorus was in full swing as I checked the Lion in the half light. While still big it was clear enough to see the bottom. Bouncing downstream through the chest-and-neck deep crossing with my rifle held over my head, I emerged 50m downstream on the other side, to big hugs from my concerned companions who had hardly slept all night worrying about the idiot on the other side. Interestingly, Aimee (in the days before marriage) had called home that night while on holiday in France after a bad dream sensing that her beau was in big trouble. As the chopper pulled us to safety later in the morning, I reflected on the close shave. Since that time, I’ve been more careful outdoors and will always remember the time when I saw the Lion roar.